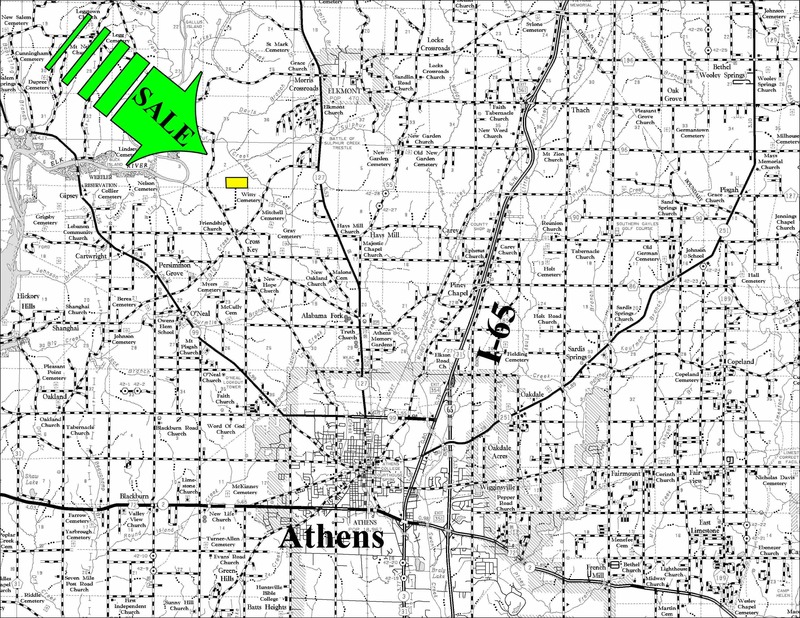 •From I-65 exit # 354, take U S Highway 31 south toward Athens for 0.8 miles to AL Hwy 99 (Elm Street). •Take a right and go 2.2 miles to Edgewood Road. •Take a right and go 5.3 miles (after 4 miles the name changes to Easter Ferry Road) to Davis Lane on the right. •Take a right and go 3/10 mile to a woods road on the left (the beginning of the deeded easement). •Take a left, and follow the woods road to the south line of the property (see topo map for location). This road is gated before reaching the property and showing is by appointment. •The beginning of the deeded easement off Davis Lane is located at Lat: 34° 53’ 12.2”N. ; Lon: 87° 01’ 18.1” W.
About 15 minutes from I-65 Exit # 354. Located 5 miles northwest of Athens and 3 miles southwest of Elkmont. Legal access is 30-foot wide deeded easement for ½ mile to county-maintained gravel road (about half of deeded easement does not have road constructed yet). 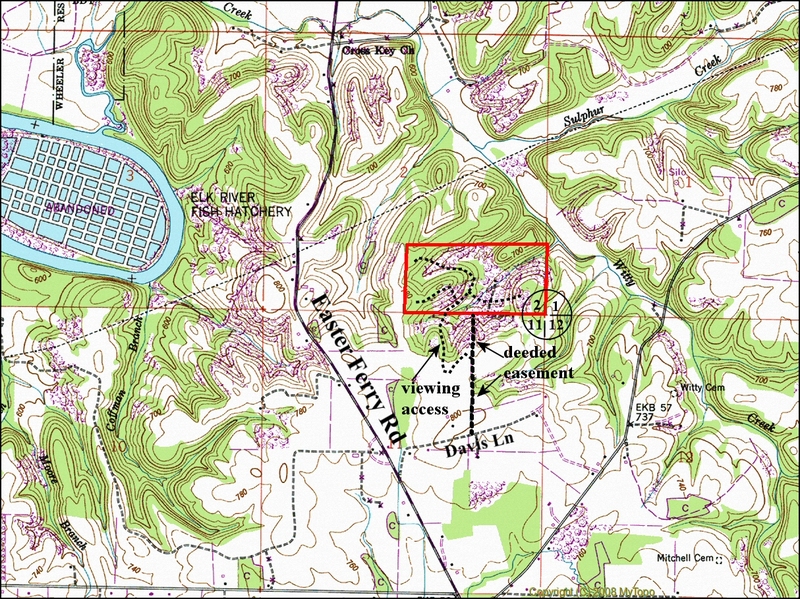 Viewing access is on an existing woods road (see topo map for location of this road). A 180 year old dog-trot cabin is still standing on the property. A small creek crosses the property for about 1/3 mile. The property is all timbered and about 60 acres are in 8 year old planted loblolly pine with the rest in hardwood along drainages. Call agent Colin Bagwell (256) 527-4050.